This week brought a new installment to the Batman: Arkham video game series. 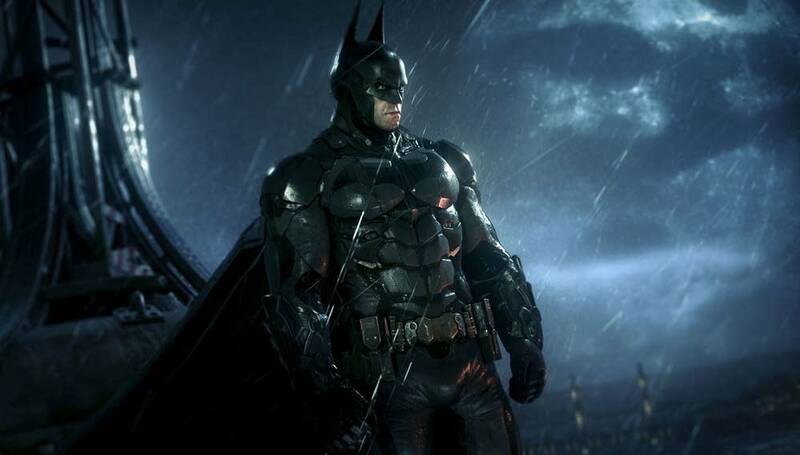 As with all games, Batman: Arkham Knight has been long in development and was anxiously anticipated. Nick Arundel has been involved with the music and sound development of every installment of the series. Arundel worked with Ron Fish on the first two games and Christopher Drake on the third; this time he brought in film composer David Buckley, who has previously worked on games like Call of Duty: Ghosts. Buckley is a unique and valuable choice, predominantly known for his work as a film composer, with previous collaborations including Henry Gregson-Williams for Ben Affleck's The Town. Buckley has learned a lot from cinema and collaborators like Gregson-Williams, who was a student of Hans Zimmer's and has a particular treatment blending electronics and classical orchestration heavily indebted to Zimmer. Zimmer, of course, has become synonymous with the Batman sound (having scored all three of Christopher Nolan's Batman movies) and undoubtedly influenced how the sound of these games has evolved. With a new adventure, let's take a quick look back. There is sincere cohesion between the games to maintain lineage, but dramatic evolution to the feel of the work. As games have evolved to be more cinematic so has the sound scape and listening to this four games in isolation provides significant representation of that evolution. The music for first installment in the series sounds the most like traditional video game music. It feels digital, with a synth-driven aesthetic, though with undeniable classical elegance and orchestration. Much of the rhythm is actually carried by synthesized bass lines, with percussion given more free rein to experiment with sound aesthetics that embolden and color the mix. What this allows is a valuable use of time signatures not so connected to typical 4/4 count, but a dance through various rhythms with significant discord. Again handled by the brilliant minds of Nick Arundel and Ron Fish, this second installment seems to have been influenced by Nolan's The Dark Knight in the evolution of the sound. It's still plenty synthesized, but there is a quality to the recordings that provides certain organic affiliation. It's a step up into richer orchestration and dynamics as the franchise evolves along with cultural expectations of the gaming experience. There's also a larger-scale sensibility from the main theme onward that speaks to a new narrative with larger stakes. Some of the string passabes actually have a resonant quality and terror not dissimilar to the soundtrack Stanley Kubrick curated for The Shining, as well as some similarities to the brilliant Batman: The Animated Series, which was predominantly scored by Shirley Walker. This installment was a prequel, and Christopher Drake was brought in to offer new dimension to a broadening franchise. First in the series offering multi-player game play, this also came on the heels of cinema's superhero embrace and with someone like Drake in the composer's chair, it feels more akin to modern film scores. Drake has said that Die Hard was a partial inspiration as the film also took place over Christmas and brought sleigh bells into the orchestrations. He also developed a richer electronic interface to build on the elegant classicism of previous installments. It's the most dynamic in the series to this point. With many cues reminiscent of the foundation laid by Zimmer, there is a depth and honesty to the craft we've come to expect as more video game music has evolved to speak narratively, like music for a film. Drake uses a lot of deep resonant percussion and bells driven by an extensive string section, with a propulsive feel not dissimilar to Zimmer's work on The Dark Knight Rises and the most recent Avengers film, which was scored by Brian Tyler and Danny Elfman. David Buckley has a deep understanding of atmospherics and knows how to uplift an image. Arundel has said that this was very much an evolution of the work he started with Fish. How did Buckley do? You can now play the game (unless, that is, you have a PC) and listen for yourself.